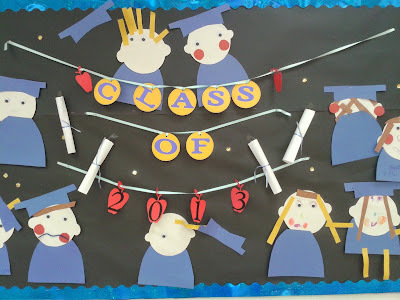 We make these little "graduation people" every year for our grad celebration at preschool. We attach them to the bulletin board at the front of the classroom along with the words, Class of 201_, as part of our ceremony decorations. To make the people, we provide basic paper cutouts (head, cap and gown) and googly eyes. 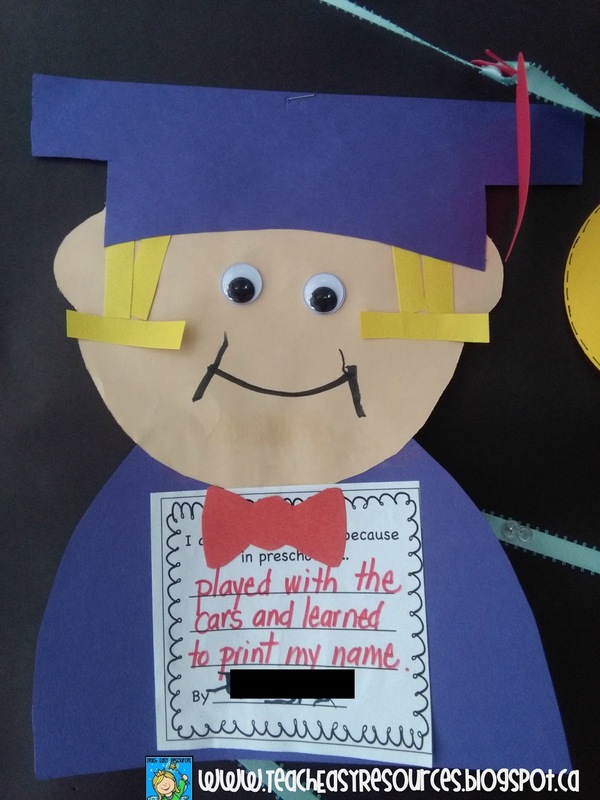 The preschoolers glue the pieces together and then add details to make it look more like themselves. We provide yellow, black, orange and brown paper strips so students can choose a colour that matches their own hair. If someone has curly hair, we help them use a pair of scissors to curl the strips. Kids are encouraged to use markers to draw on details like eyelashes, freckles, glasses (if they wear glasses!) and rosy cheeks to make each one unique! In previous years, our graduation people looked like this. 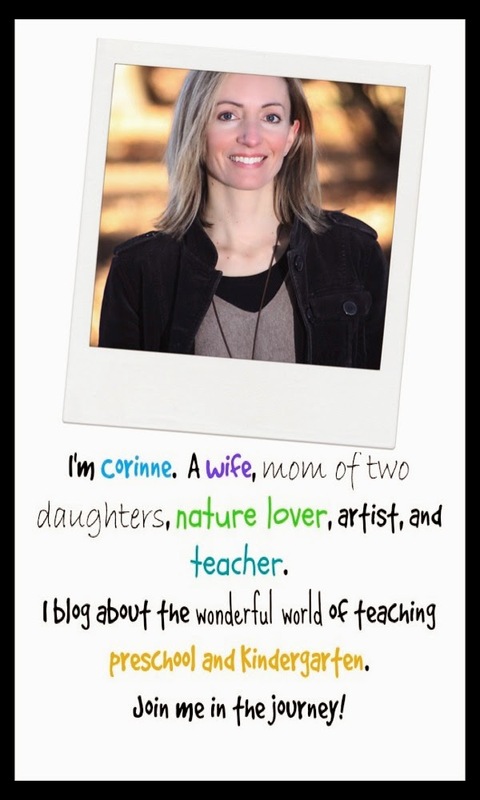 Cute, but no writing element. This year we thought the display would be even more fun for parents and kids if it included something to read, as well. 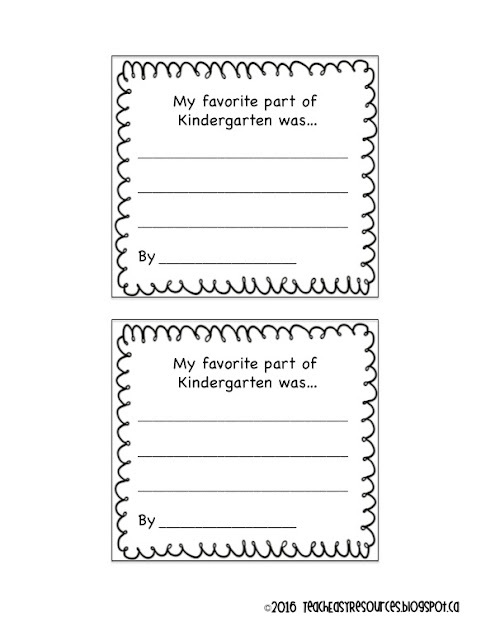 So we scribed each child's ideas about either what they learned in preschool or what they enjoyed most about preschool on a printable page. 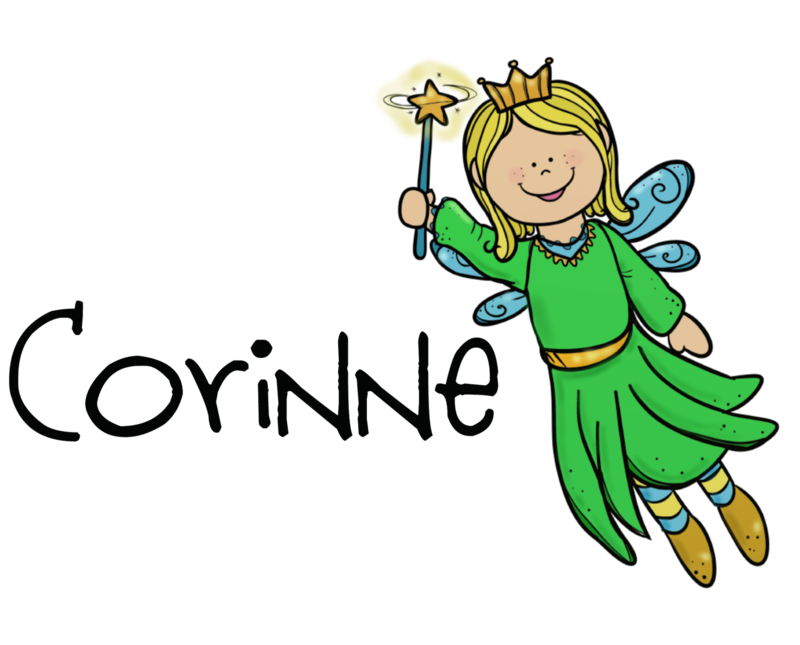 If you'd like a copy of this page for your own project, I'm happy to share it with you HERE. 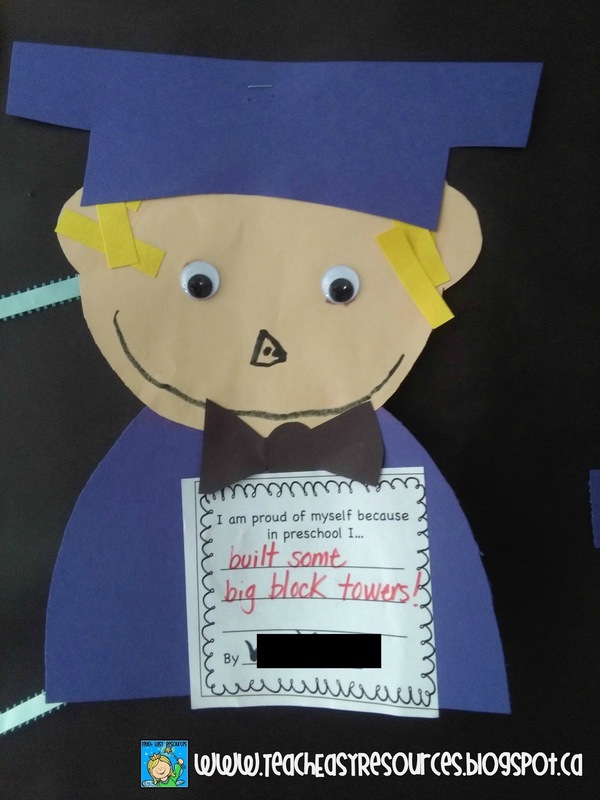 There's one for preschool graduation. And one for Kindergarten graduation. 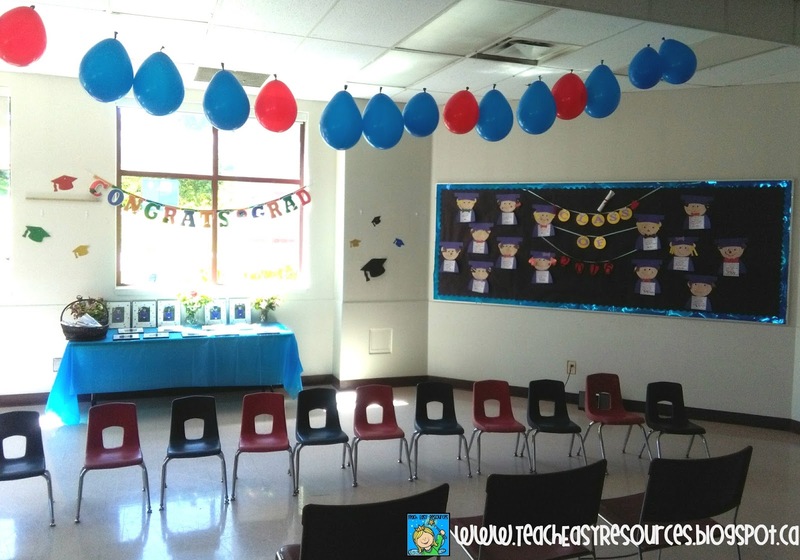 Check out THESE POSTS for additional graduation ideas and decorations!